When you graduate from Leeds you’ll be equipped with the skills and knowledge to help you stand out in the competitive job market. You’ll learn in a stimulating and intellectual environment with a variety of teaching and assessment techniques. Some of your modules may be assessed by oral presentation or by producing a written report. Others may involve group projects and working with organisations outside of the University. This means you’ll develop strong, transferable expertise that will prepare you for a career in a diverse range of fields. What do Spanish, Portuguese and Latin American Studies graduates do? Many of our graduates also go into language-based roles such as translation or interpreting, or pursue further training in this area. 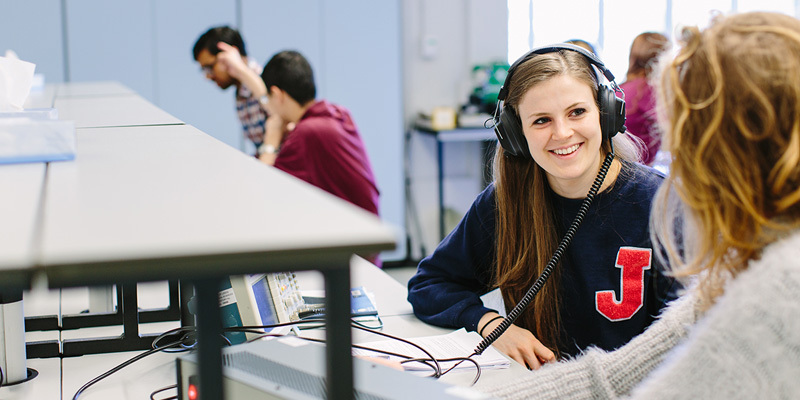 The School offers a range of postgraduate study options to further your knowledge and expertise in Spanish, Portuguese and Latin American Studies, including MA by Research and taught courses in the area of translation. As a student with us, you'll be guided in your career choices and prepared for life after your degree in a variety of ways. Workshops and events are organised for you by the School throughout the year and focus on networking, understanding the value of your language skills, hearing from alumni about their career experiences and hosting graduate recruiters who want to hire you. Our award-winning students' union provides career-related support through the part-time job hub, student societies and other activities throughout the year. You could be a key player in an award-winning sports team, or become a committee member and chair society meetings, or you could even project manage a volunteering trip overseas. The Union is also home to School Reps who are appointed by students to represent the views and be the voice of students in your School.